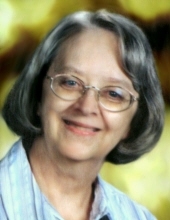 Diane Elizabeth Danville, 70, of Midland, formerly of Freeland, passed away peacefully March 29, 2019 in Midland surrounded by family. She was born February 1, 1949 in San Antonio, Texas, daughter of Dennie and Nellie (Roles) Smith. As a child whose father was in the military, Diane moved around often, but always felt at home in Kansas. After graduating from high school, she went on to become a teacher and earned her Master’s Degree in Special Education. Diane had a passion for teaching whether it was her students in her classroom, her children or grandchildren. This was evident even through her walk with dementia where she could be seen teaching, organizing, planning, and preparing for events or activities. She had a thoughtfulness for children that exceeded most. Diane spent her life devoted to her family, teaching in the Saginaw schools, and rescuing animals. She was proudest of raising three strong daughters, her grandchildren, and educating Special Needs children. She will be missed by many but truly welcomed by God. Diane is survived by her daughters, Terese (Eric) Shepherd, Paula Danville, and Christina (Christopher) Mathews, as well as grandchildren Anthony (14), Brianna (8), Kursten (7), John (2), and Evan (2), her sister, Ruth Hanson, nephew, Nathan Hanson and niece, Dayna (Matt) Mager. She was preceded in death by her parents Dennie and Nellie Smith. Funeral services will take place at 1 p.m. Saturday, April 6, 2019 from the Ware-Smith-Woolever Funeral Chapel, 1200 West Wheeler Street. Reverend Gerald Ferguson will officiate with burial to follow in West Side Cemetery in Freeland. Diane’s family will receive friends at the funeral home on Saturday from 11 a.m. until the time of services. Those planning an expression of sympathy are asked to consider S.A.F.E. of Clare County. To plant a tree in memory of Diane Elizabeth Danville, please visit our Tribute Store. "Email Address" would like to share the life celebration of Diane Elizabeth Danville. Click on the "link" to go to share a favorite memory or leave a condolence message for the family.